The Washington Post said that the drone strike "represents another escalation in US involvement in the war in Afghanistan"
The US drone strike that killed Afghan Taliban chief Mullah Akhtar Mansour in Pakistan was a signal that the Obama administration was becoming "less patient" with its "failure" to combat the Taliban insurgency, American media commented today. "The strike in Baluchistan was also seen as a signal that the Obama administration was growing less patient with Pakistan's failure to move strongly against the Taliban insurgency. While Pakistan's powerful military establishment has quietly cooperated with the CIA's campaign of drone strikes against Al-Qaeda and the Pakistani Taliban in the northwestern tribal areas, it has refused past requests from the spy agency to expand the drone flights into Baluchistan," a report in the New York Times quoted former US officials as saying. It cited officials saying that the US drone strike on Saturday against the leader of the Afghan militants signalled a "major break" with precedent as the US circumvented Pakistan in an effort to disrupt the strengthening insurgency. The report said the US and the Afghan government have long pointed at the Taliban sanctuaries across the border in Pakistan, particularly in Baluchistan, as the main reason for the resilience of the insurgents despite a strong global campaign against them that at one time had involved nearly 150,000 international troops. In another report, the Washington Post said that the drone strike "represents another escalation in US involvement in the war in Afghanistan by trying to cripple an insurgent group that has for years found refuge on Pakistani soil." 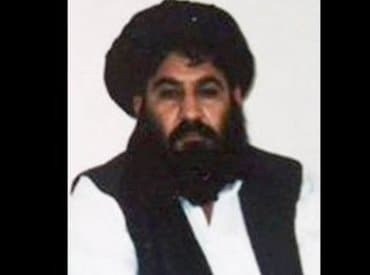 "This is an unprecedented move to decapitate the Taliban leadership in its safe haven of Pakistan," Bruce Riedel, a South Asia expert at the Brookings Institution, was quoted by The Post as saying. "It exposes Pakistan's role in promoting and protecting the Taliban, and will provoke a crisis in US-Pakistan relations," Riedel added. Former Pakistani ambassador to Washington Husain Haqqani was quoted in the NYT report as saying that the US' expansion of its drone campaign into Baluchistan suggests "that the US is losing patience with the promises of Pakistan. "The Taliban insurgency will probably continue, but Pakistan has another chance to dissociate itself from backing the greatest threat to Afghan stability," Haqqani said. Until the strike against Mansour, authorised by President Barack Obama weeks ago, consecutive administrations in Washington had resisted the temptation of going after Taliban sanctuaries out of fear of angering Pakistan. "Instead, American officials focused on pressuring the Pakistani military to force the Taliban's leadership into joining peace talks with the Afghan government," it said. Mansour only after the strike, said a top American official. "Pakistan's relatively muted reaction, similar to its standard protests against drone strikes by American forces, might be due to the fact that, according to Taliban commanders in recent months, Mullah Mansour had repeatedly resisted Pakistani officials' pressure on him to join negotiations," the report added. On who would succeed Mansour, if he was killed in the strike, the report said a leading candidate would be Sirajuddin Haqqani, one of Mansour's "most feared deputies," who has largely been running battlefield operations in recent months. "While closely linked to Pakistan's spy agency, Haqqani would struggle to gain the support of the wider Taliban as his small but lethal network has only in recent months fully integrated into the larger insurgency," the report said.